Another day of cycling and another day closer to the destination. 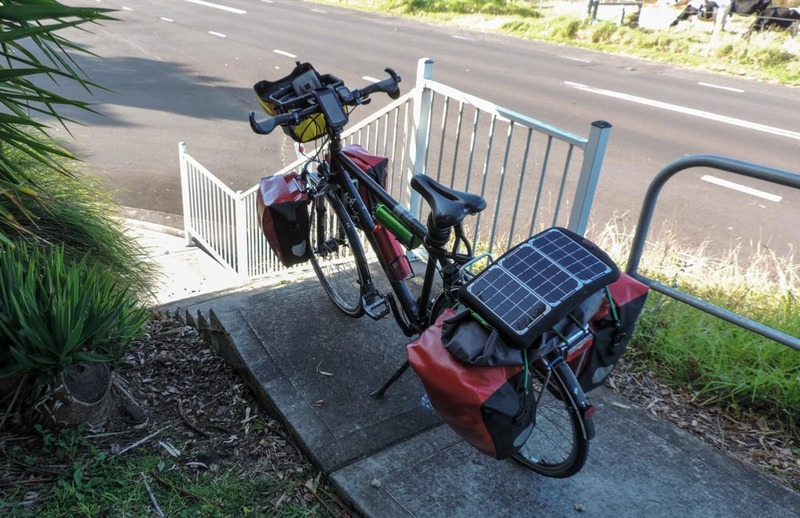 Today I rode both into the wind and with the wind on my tail, I rode both on secluded roads and on the highway in a section that could well be called a motorway. The day started with a good breakfast, the type that includes lots of proteins and, unfortunately, a fair bit of cholesterol. Stop on the motorway, one of the down sides of getting closer to civilisation is that roads get bigger and traffic heavier. I rode for some 10 miles next to the river heading inland, due west, and the wind made this part of the ride quite difficult. The saving grace was that the terrain was easy, the road was tiny and the traffic non existent. This all changed when I got back to the Princess Highway. 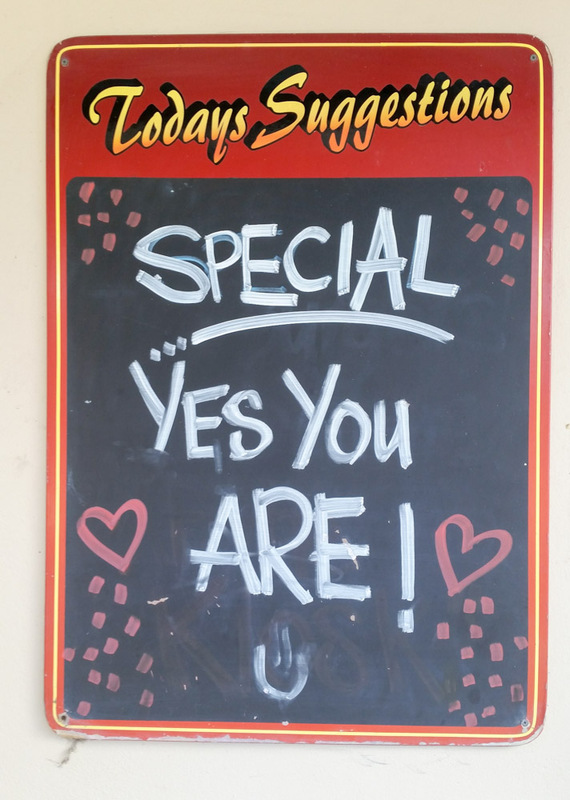 As I move north on the NSW coast I am noting small but significant changes. There are more people and therefore more cars, the roads are getting bigger with the Princess Highway now being mostly a dual carriageway. On the positive side campsites have free and reasonably fast internet and I even managed to talk to Modena yesterday. 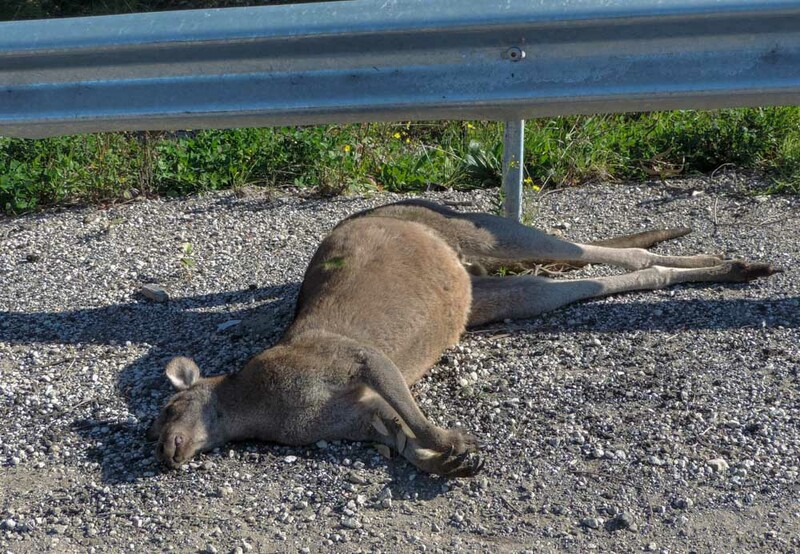 The thing that is not changing is the abundance of wildlife and I came across this troop of kangaroos which was in mid siesta by the side of the motorway. Not sure how I feel about marvelling at kangaroos after I’ve eaten one of their kind. This one decided to leave the reservation. The signs were there, and I assume were seen, had it not been so there would have been a recked car right next to the body of the one that flew the nest. Said that, remembering how scary it was when Tarn and I hit a pheasant, I cannot imagine what it must be like to hit one of these beasts, they are quite massive. 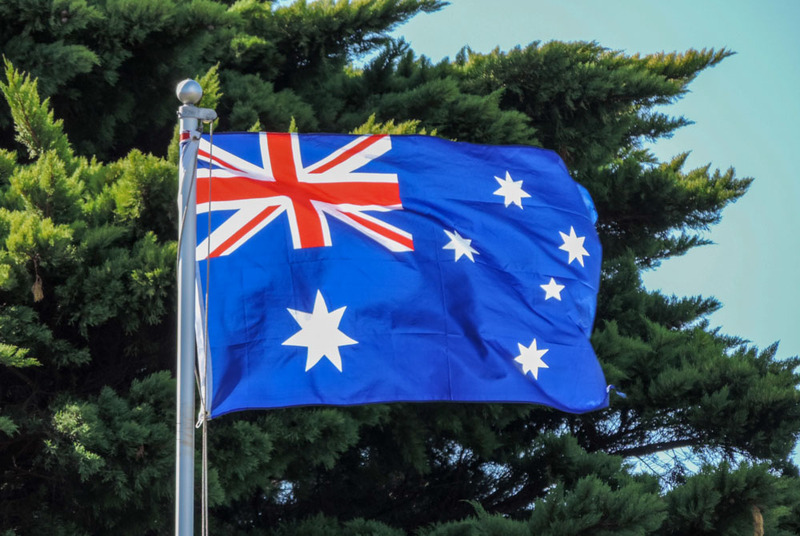 Not much else entertained me for the following 10 miles other stopping to take a picture of the Australian Federal flag. 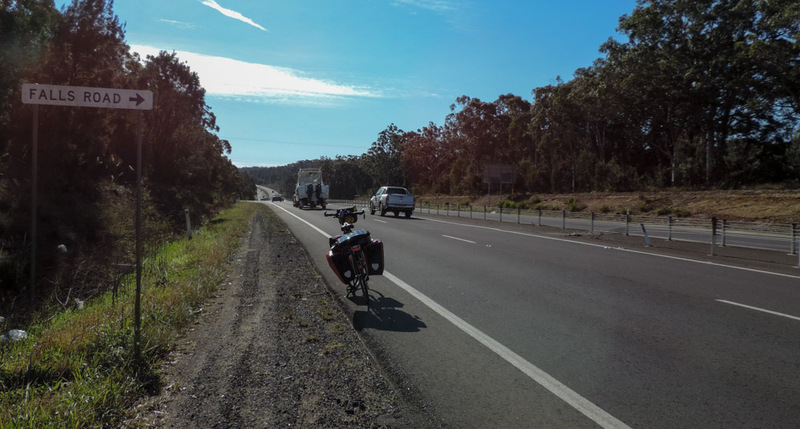 After Nowra I left the A1, turning east towards the coast. The wind having not changed direction was behind me and pushed me allowing me, with my recovered ultra high gear, to cycle at above 30 MpH. I did so for a good stretch and brought my daily average up from 10 to 13 MpH. I realise I have not taken a shot of the flag, one of my childhood all time favourite. Went trough a National Park, I would have not known but for the sign. Going at this speed I’d get to the destination a good hour faster than the Google prediction. I decided that this was not in my best interest as I would then have a very long afternoon with not much to do so I stopped for some grub and discovered a really nifty little place. The Seven Mile Beach Kiosk is a restaurant and store, there are many such outfits in Australia and, coming to think about it, in New Zealand too. They are mostly in the middle of nowhere where one place does it all. Obviously the “middle of nowhere” description does not completely applies to this place as, even in the middle of winter there was a generous helping of people to contend with for seats. I had a small portion of chips and a drink and sat for 30 minutes in the sun reading my new book: John Fullerton’s This Green Land. I was so impressed with the signs below that I decided to post them on Facebook. Lunch time pick up line. 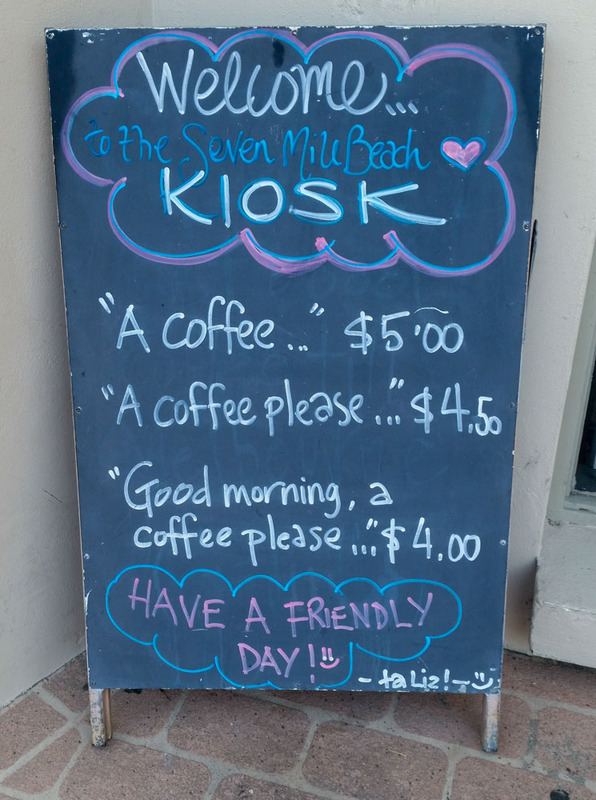 Love it, it pays to be polite. 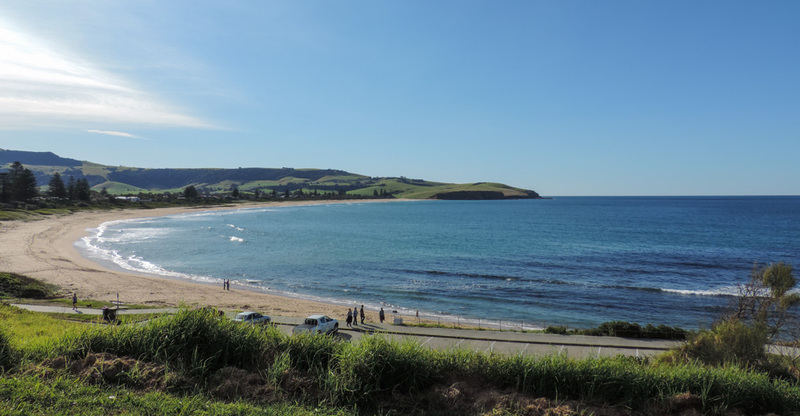 Not long after I restarted the ride I got to Gerringong where I was faced with a dilemma. It was either rejoining the A1, now a full blown motorway, or taking my chances on a bike path on the coast. Google suggested the motorway and, remembering the bike adventures that Google had me getting into the past, I thought that if even Google was not suggesting the bike path there must be a good reason. I went to the start of the bike path and I could not see anything that resembled a viable route so I took what looked like a bike lane (F#@*!) and rejoined the main road. I elected the motorway and it was two miles of agony. The first bit was uphill and the shoulder was really thin, big trucks and SUV with trailers zoomed past me, the second part was downhill and I elected to just occupy the inside lane and force traffic to go around me. Attempted detour, failed, but I got a nice pic. Some time when you try to do the right thing all you get is aggravation. I survived and got to the camp with a good two hours of sun to spare. 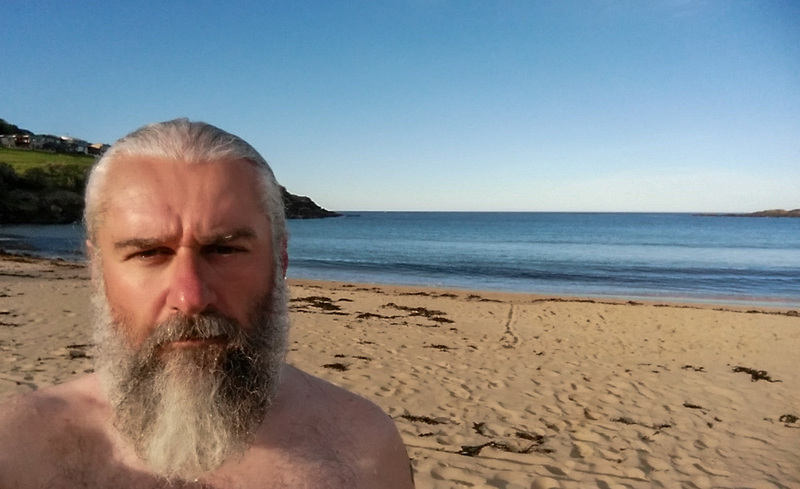 The camp is by the sea with a lovely beach and a temperature that would be hard to find in the northern hemisphere on the 8th of December so I decided to make today the day I was going for a swim in the Australian sea. I only stayed in the water for 10 minutes or so mainly standing in the water or body surfing but it was splendid. No need to say that I was the only person swimming without a wet suit, there were a couple of surfers up the beach but they were in what they class as winter gear. People here at the camp could not believe I was going for a swim, but I thought it was rather good. 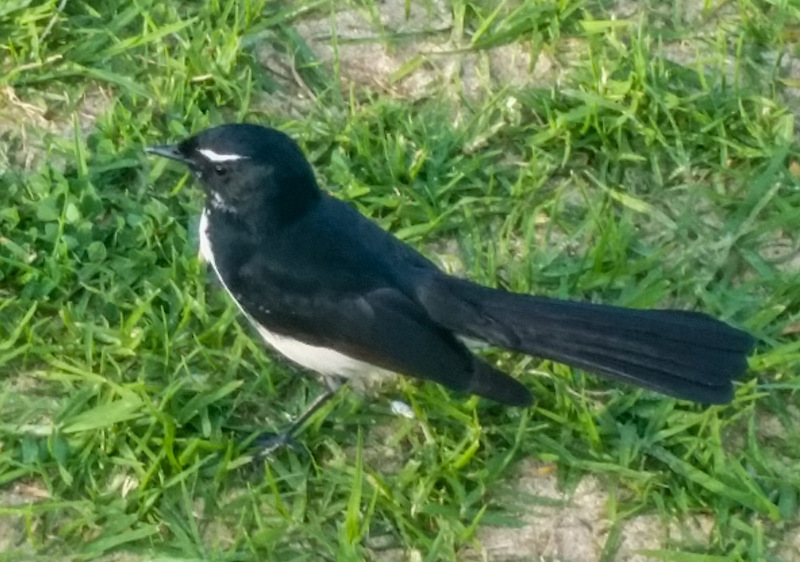 This little fella got my respect, at a fraction of my size he was trying to get me off his patch with a very elaborate dance. 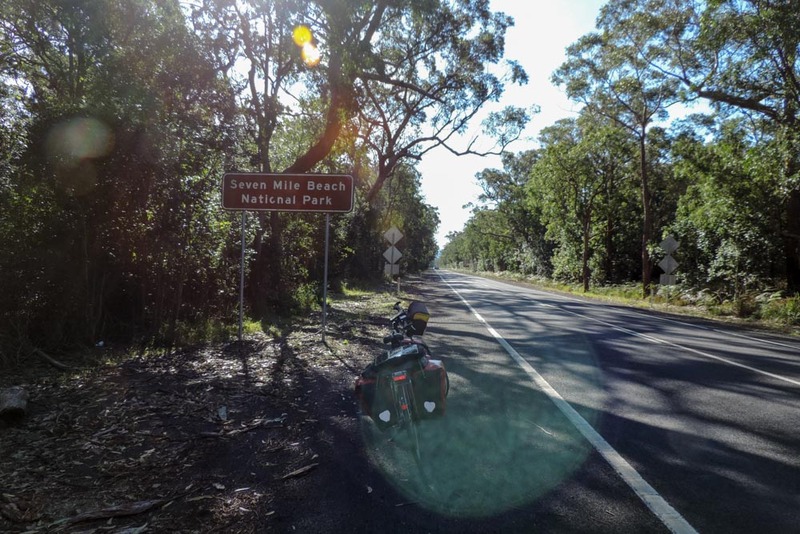 Today was slightly more eventful than yesterday and I hope that the Grand Pacific Drive will have a bit more grandness tomorrow, only 80 miles to go to Sydney now. Its just like NZ with different creatures!